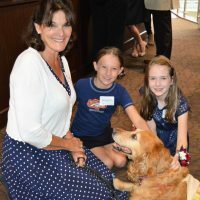 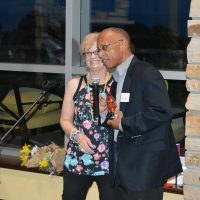 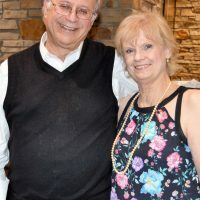 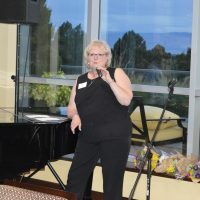 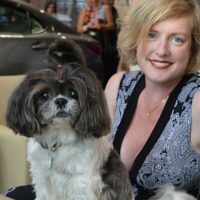 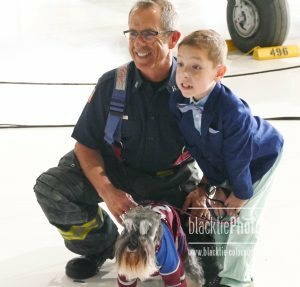 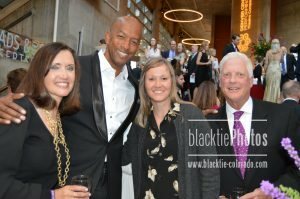 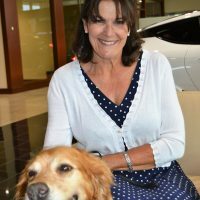 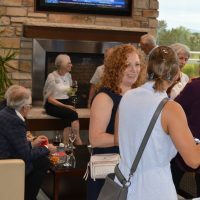 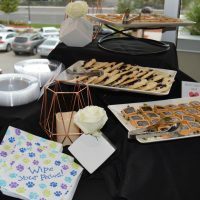 at Kuni Lexus of Greenwood Village benefiting Prescription Pet Program at Children's Hospital Colorado at 6 p.m.
Every dog has its day, and at this year’s Wine & Wags around a dozen canines, as well as their people, were honored for their great work at Children’s Hospital Colorado. 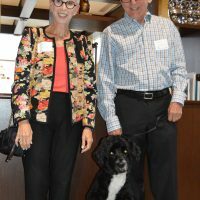 There were doggie treats and pats for the puppies, and plenty of delectable wines and tasty tidbits for two-legged friends and supporters. 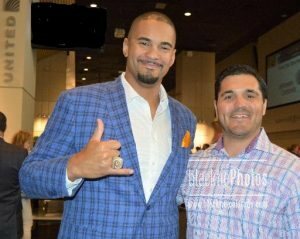 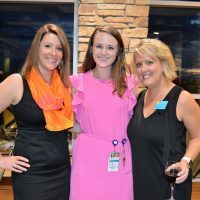 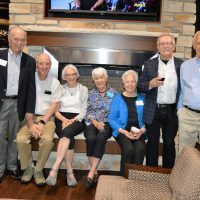 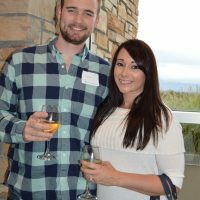 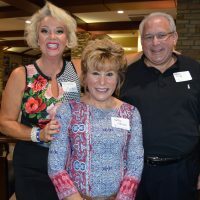 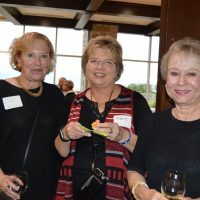 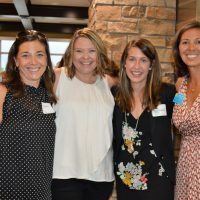 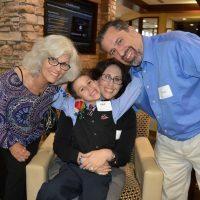 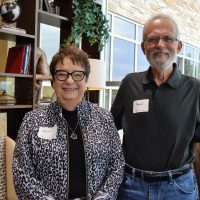 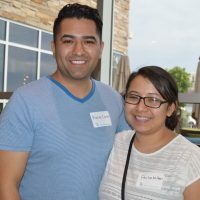 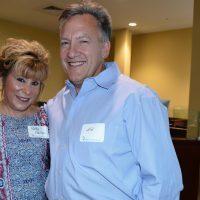 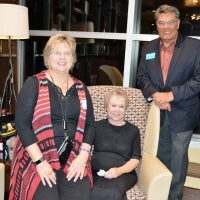 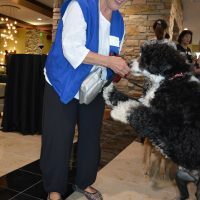 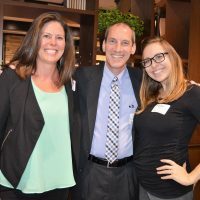 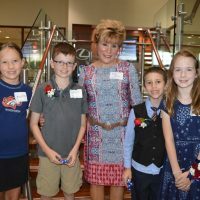 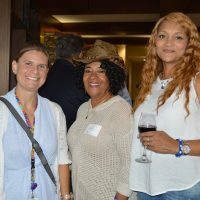 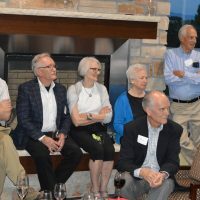 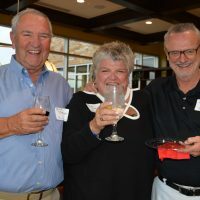 On Monday, Sept. 11, the fourth annual friendraiser for Children’s Prescription Pet Program attracted a pack of positive people and pooches at Kuni Lexus in Greenwood Village. 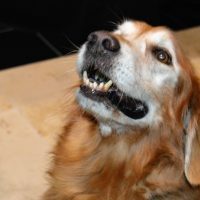 Hot diggety dog! 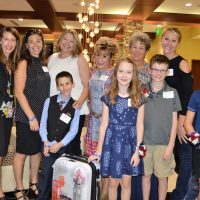 At check-in, each guest received a paw-print bracelet and a pebble from Creekside Elementary School students of second-grade teacher Kathy Paulson. 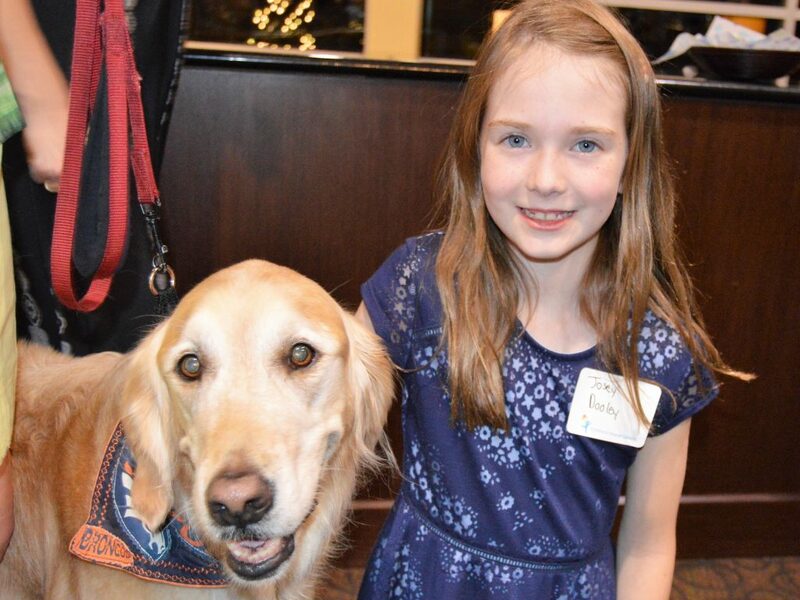 She and her class organized a fundraiser for the pet program after a visit from one of the PPP dogs, selling dog-themed items along with some heart-felt monetary donations that raised more than $650. 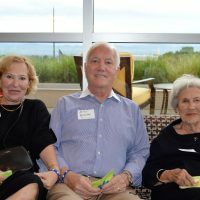 One of the many lessons Paulson taught her students was about the ripple effect of giving, and she urged guests to keep their pebbles as a reminder to do good deeds in their own lives. 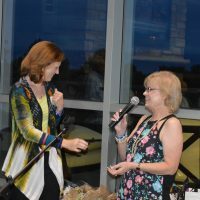 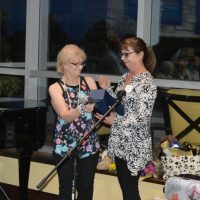 Pet Program founder Sara Mark, DVM, and event organizer Lyn Schaffer also addressed the group, and went on to recognize reps from Chewy’s Bonetique, Biscuits and Berries Catering, and Kuni Lexus for their continued support. 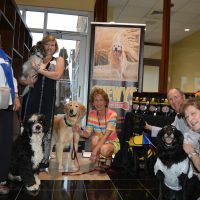 The program ended with giveaways that included a dog-themed travel tote and a children’s book “paw-tographed” by each volunteer PPP dog-and-owner team. 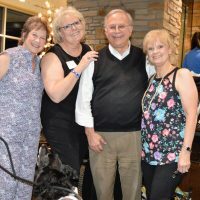 The Prescription Pet Program (first in the nation) is a dog-assisted therapy and visitation program that began in 1984 as a cooperative effort of Children’s Colorado and the Denver Area Veterinary Medical Society (DAVMS). 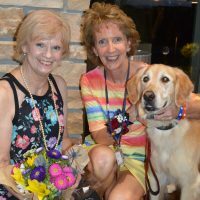 As part of the program, specially trained volunteer dog owners take their dogs on rounds at Children’s Colorado. 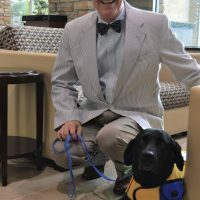 All Prescription Pet dogs have passed a vigorous screening and have been approved by veterinarians who volunteer their time. 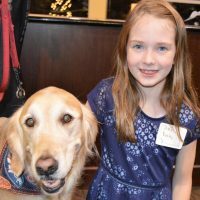 The dogs’ visits with patients can range from a few minutes or longer, depending on the child’s response. 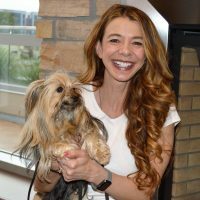 The dogs also assist the medical staff in the psychiatric units and, as needed, in the physical rehabilitation department. 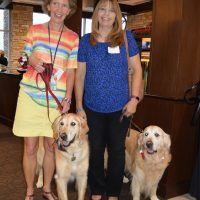 Patients can request a dog visit, and prospective volunteers can apply for the program by calling the Volunteer Office at 720-777-6887. 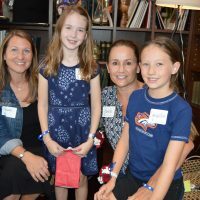 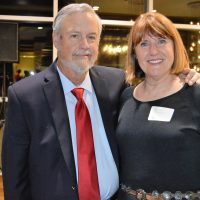 To learn more, please visit: https://www.childrenscolorado.org/community/donate-volunteer/volunteer/prescription-pet-program/. 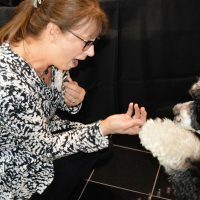 Julie Neva, Chewy’s Bonetique owner, offers up a treat to Popeye. 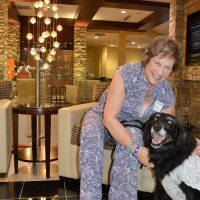 Popeye jumps for joy at the chance for yet another tasty treat from Susan Forman. 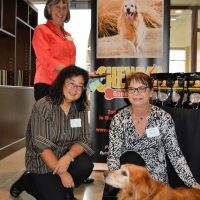 The Chewy’s Bonetique pack includes (l to r): Nancy Martin, Pam King, and owner Julie Neva with the face of the franchise, Shelby. 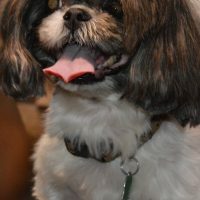 Shelby, of Chewy’s Bonetique, smiles for the paparazzi. 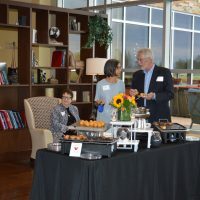 Biscuits and Berries provided tasty treats for the two-legged guests. 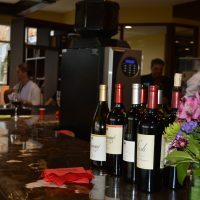 Wines are readied for the crowd. 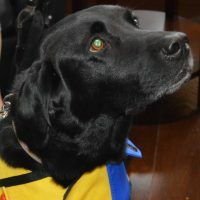 Hathaway looks up hopefully for a treat. 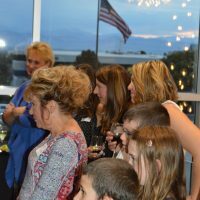 Kuni Lexus provided a homey haven, and Biscuits and Berries cooked up delectable tidbits for the reception. 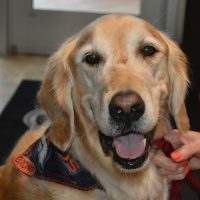 Pet Program’s Tillie is all smiles. 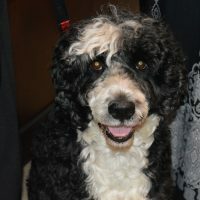 PPP veteran Cormac is ready for his closeup. 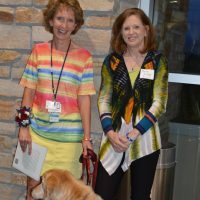 Prescription Pet Program participants pose proudly. 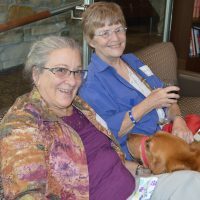 Guests listen to Sara Marks talk about the Prescription Pet Program. 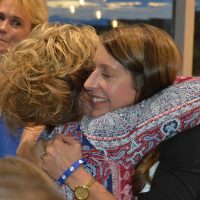 Teacher Kathy Paulson (left) received lots of hugs during the event. 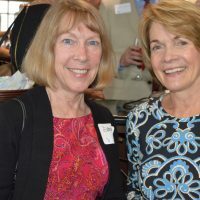 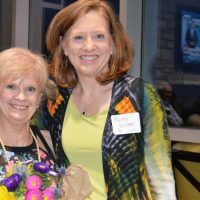 Betsy Widner (left) and Lyn Schaffer share a laugh. 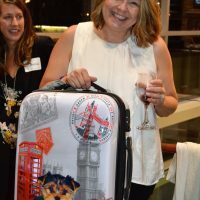 Kelli Somerfeld walked away with this very-cute raffle prize.